Whoosh! 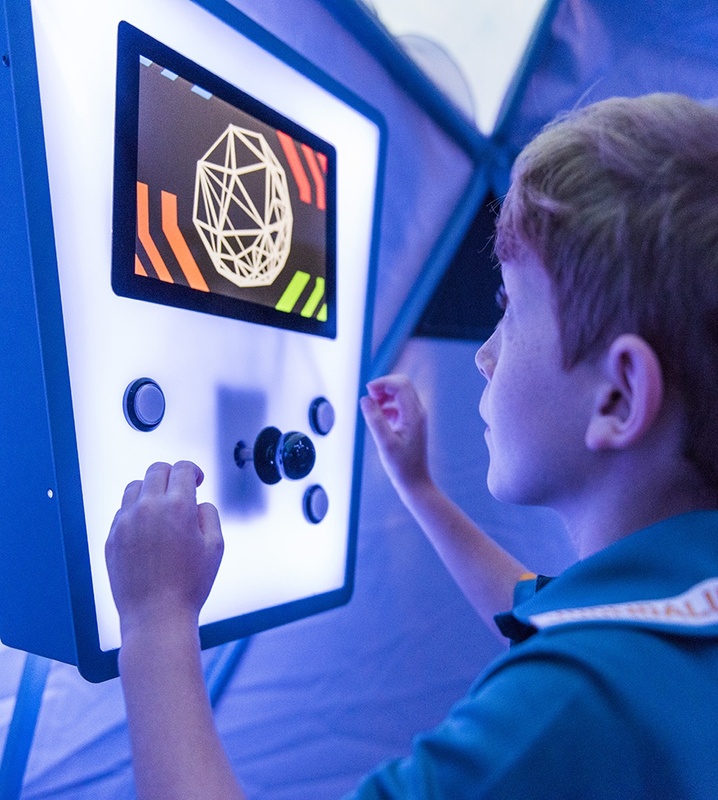 is a new interactive multi-sensory adventure that puts children with disabilities in the Captain’s Chair! 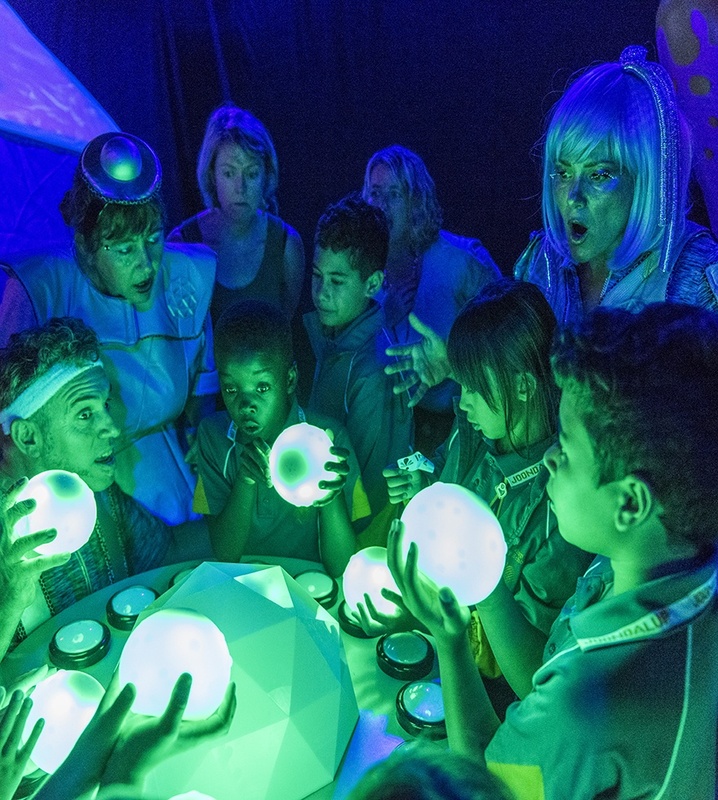 Created by pioneering theatre-makers Sensorium Theatre, this unique performance is suitable for children with a broad range of access needs, including those with multiple and complex needs and those on the autism spectrum. There are potentially exciting sound and light changes in Whoosh that are announced as part of the show. Children can prepare for these with our digital app. Planet X – UV Light and low fog haze. 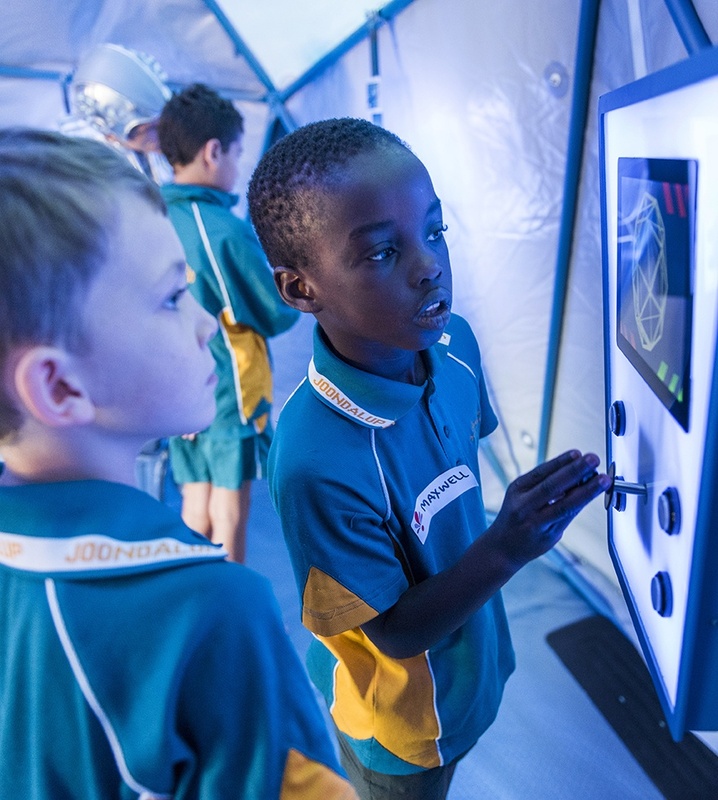 Children can sample “space food” – a list of ingredients can be provided. Essential oils are diffused in the environment. These can be modified to accommodate allergies. Whoosh! is produced and toured by Performing Lines WA and supported by the Australian Government through the Australia Council for the Arts, its arts funding and advisory body; and the WA Government through the Department of Local Government, Sport and Cultural Industries and Lotterywest. This production was made possible with the generous support of the Major Festivals Initiative through Perth Festival and the Cassandra Gantner Foundation. 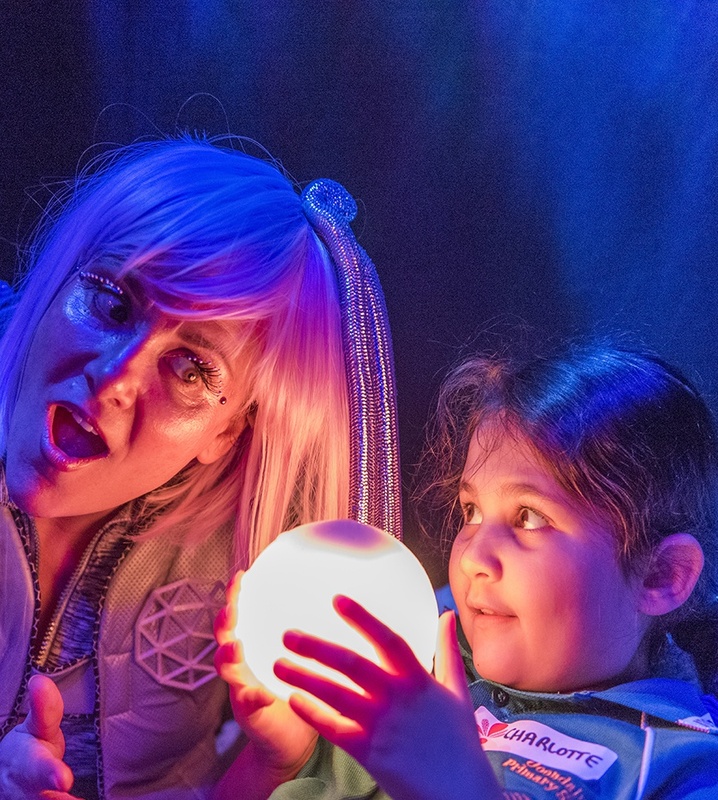 Recommended for ages 5 - 12 There are potentially exciting sound and light changes in Whoosh that are announced as part of the show. Children can prepare for these with our digital app. These include: - "Blast Off": light fog haze (non allergenic) - "Emergency Landing" (slow moving red lights and siren). - Planet X - UV Light and low fog haze. 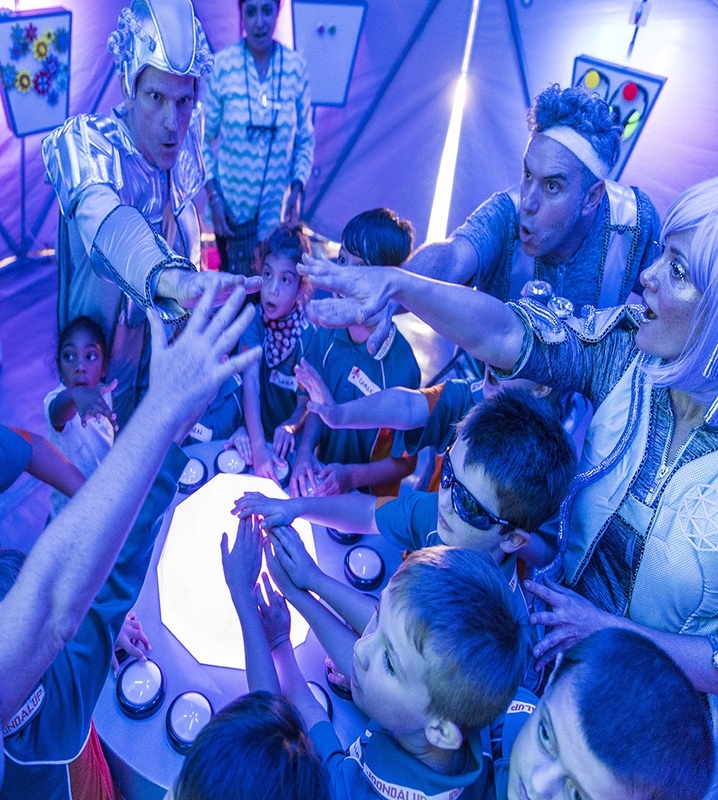 Children can sample "space food" - a list of ingredients can be provided. Essential oils are diffused in the environment. These can be modified to accommodate allergies.